Your wife is bugging you to go shopping with her for outdoor patio furniture, but you may be wondering why you need it in the first place. Isn’t your living room comfortable enough? Why bother spending time outdoors when you could be inside watching another episode of Game of Thrones? First of all, if you really want to relax, Game of Thrones is not the show for you. Just watch a few episodes to find out for yourself; most of the characters you like die, and most of the characters you hate die. Even if the characters you love the most are still alive, you are racked with anxiety wondering if the episode you are watching at the time is the one in which they will finally meet their maker. 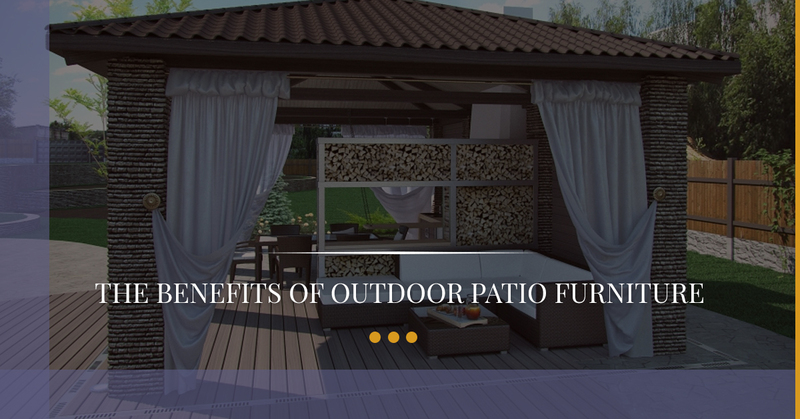 However you feel about this show, you need to understand the benefits of having outdoor patio furniture. A happy wife means a happy life, right? When you finally purchase a comfy lounge chair, an outdoor couch, and some side tables, your wife can gladly leave the room when your favorite GOT character gets beheaded. While you are trying to mentally recover from a gruesome scene from GOT, your wife can happily enjoy a glass of wine on the patio, not a care in the world. Don’t you agree that there’s no experience quite as wonderful as dining al fresco? When you come home from a particularly rotten day at work, you can relax with your family or a small group of friends for a casual dinner outside. If you truly enjoy eating outdoors, then you might even be interested in setting up an outdoor kitchen for cooking. Although you could prepare a meal indoors, there’s something so relaxing about cooking al fresco. With a cozy outdoor setup, you could invite friends over for drinks and finger foods. Good conversation is made even more enjoyable while nibbling on some buffalo tenders and sipping on your favorite cocktail. In the summer, you could serve up chilled beverages such as champagne, beer, or cocktails. With appetizers, you could serve hot wings, taquitos, or a nacho plate (always a favorite). 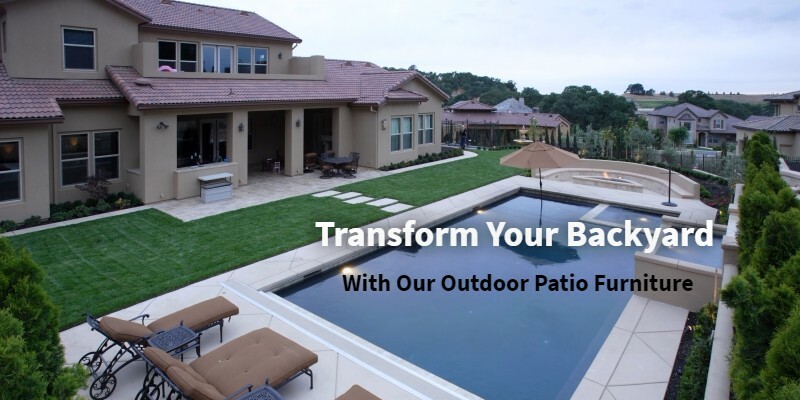 If you really want to enjoy your backyard, consider adding a home spa for the ultimate relaxing experience. You will need to soak in a hot tub just to feel clean again after watching the blood-soaked GOT episode, “The Red Wedding.” Even if you prefer not to watch such a show, you will love the relaxing effect your home spa will have on both your body and your mind. The buoyancy from the bubbles combined with heated water are excellent for relieving your tired, achy body. The sound of the bubbling water can help soothe your frayed nerves and restore a certain sense of peace. What are you waiting for? Don’t you want to get your wife off your back? Stop by our outdoor furniture store in maple Shade today to view our fantastic showroom. Transform your home with home spas and furniture from Spa Hearth & Home today.